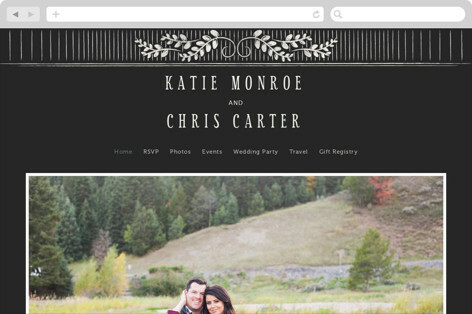 I feel like every time I am on the minted website I find something new that I fall in love with. 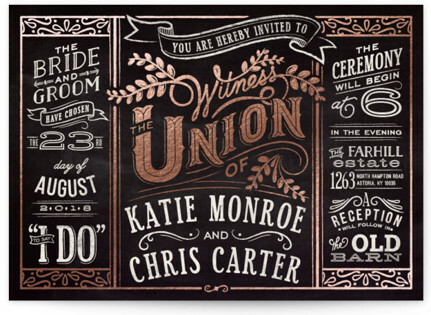 Being a proud affiliate I love finding new things on their website and sharing them with you. That being said, please know that I will be compensated for any purchase you make by clicking the links, but it is at no extra cost to you. So I now share with you..Slated Forever. 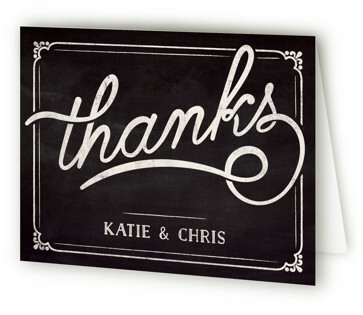 Slated Forever is a beautiful wedding suite that you can get everything from the wedding website to your thank you cards. 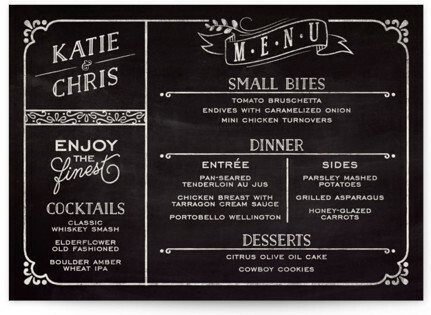 This rustic, vintage chalkboard style suite is great for those of you that are planning a beautiful rustic wedding in the country or outside. 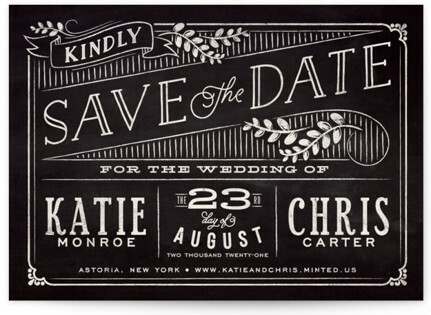 Slated Forever comes in several colors, as well as you can personalize your own color to match your color scheme. 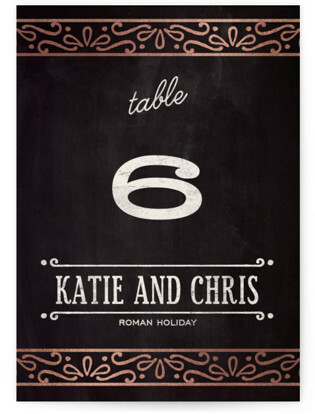 Featured colors are Chalkboard, Chocolate, Blush, Taupe, Plum and Jade. 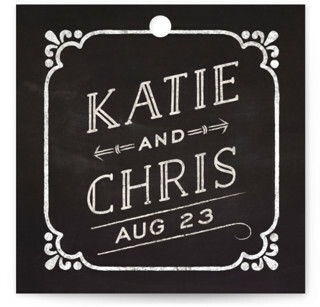 I especially like the Chalkboard and Taupe color. Printing can be done in standard or even foil-pressed if you are looking to add an extra element of elegance to your suite. I have showcased each type below. Note that you can choose either for all items. 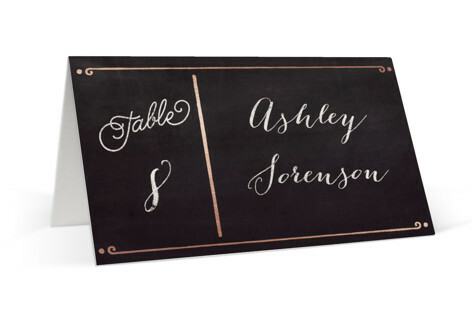 Paper choices include signature, Pearlescent, Recycled, Double Thick and Luxe Museum Board. If you are unsure about what paper would work best don’t hesitate to contact their help and they will be more than willing to help you put it all together and give suggestions. 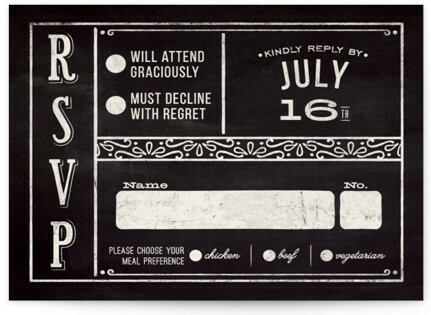 Check out all the great items you can choose from in the Slated Forever Suite and click on your favorite for more information and to order.